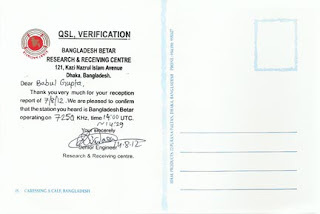 on14th July, 1975 f/d QSL card by airmail in 29 days. 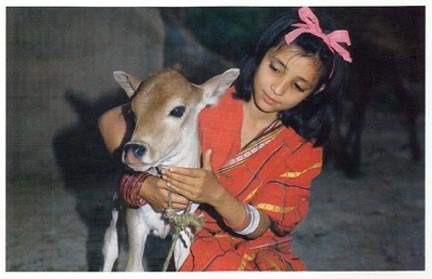 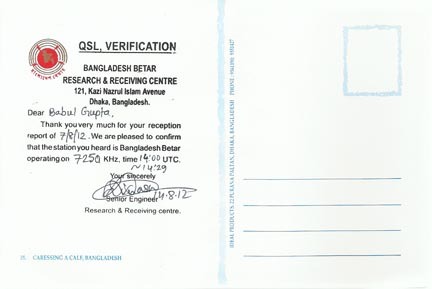 QSL card (CARESSING A CALF) for e-mail report for 27 days. 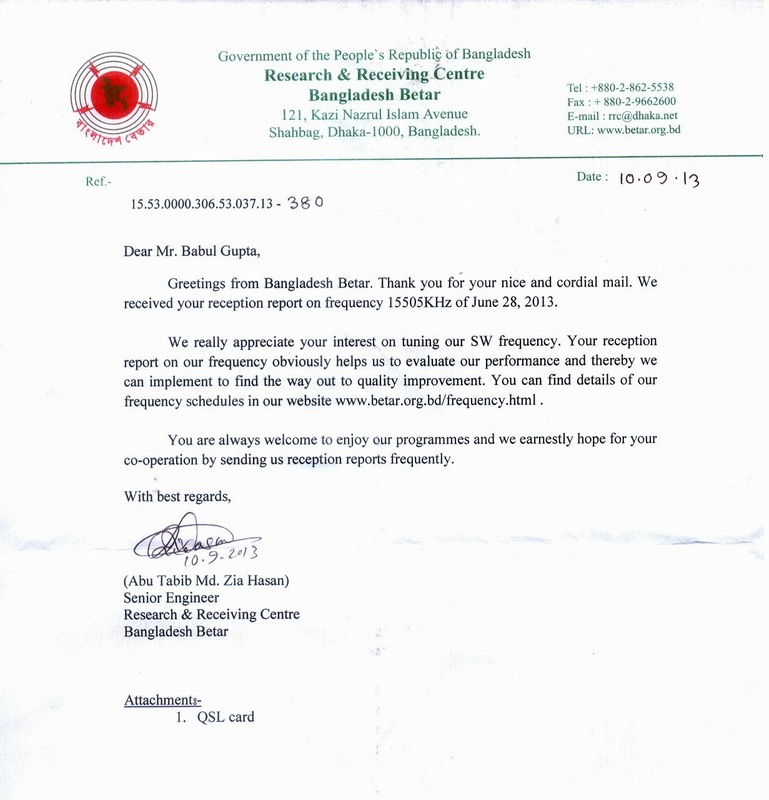 v/s Mr Abu Tabib Md. 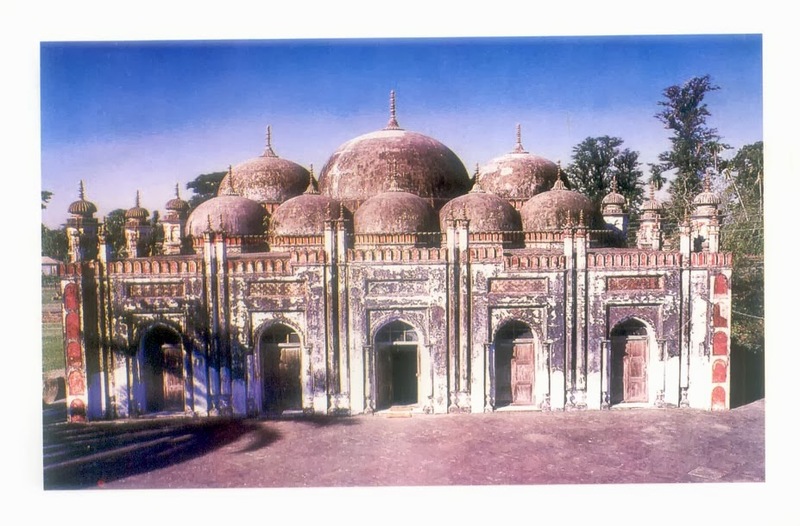 Zia Hasan. 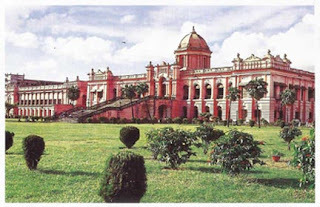 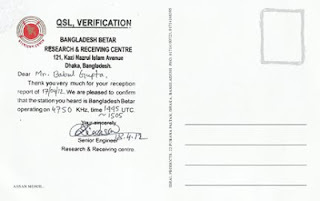 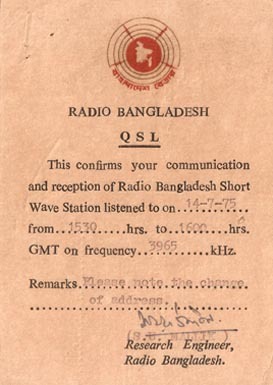 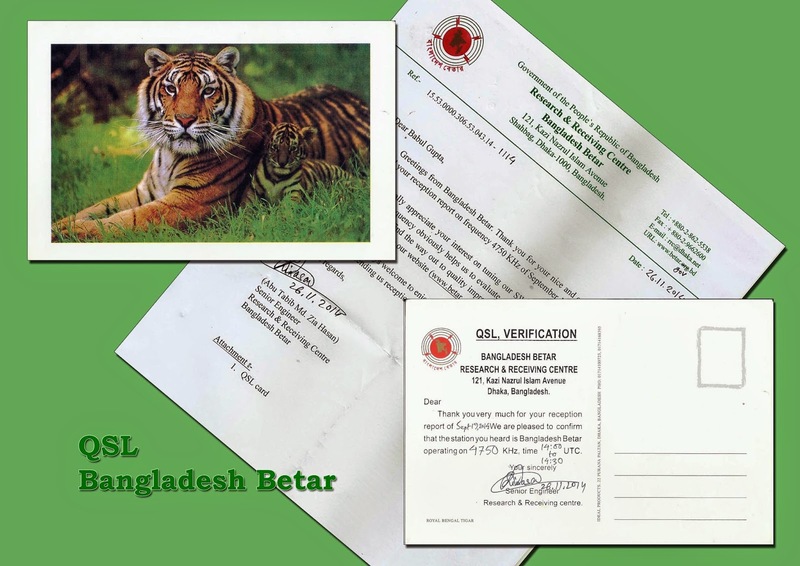 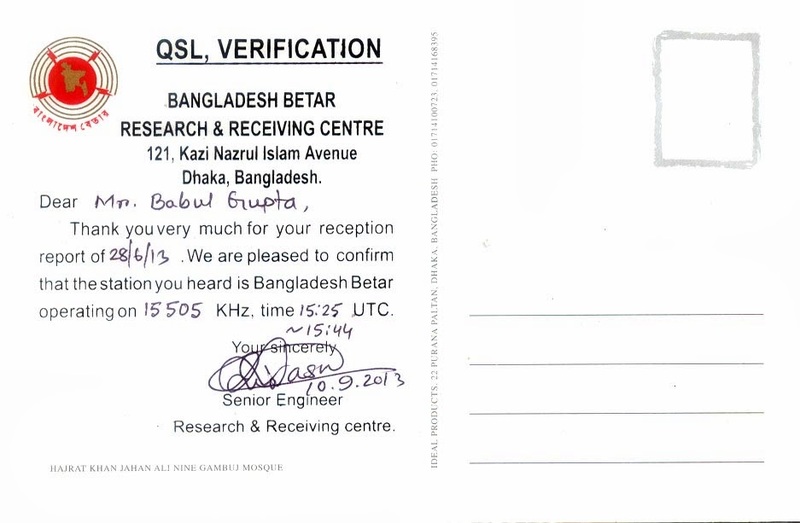 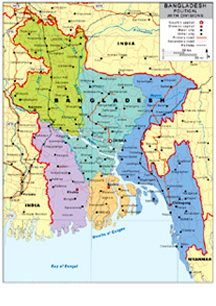 Bangladesh Betar: 15505 kHz in Hindi at 1525 to 1544 hrs UTC log this station on 28th June, 2013 and f/d QSL with letter arrived on 21st September, 2013 for email report.